My third grade literacy block is structured around reading workshop. During that time, I confer with students one-on-one, in partnerships, and in small groups. When I confer with students, we discuss their reading goals, their stories, and our mini-lessons. These question slips have been an amazing addition to my classroom. 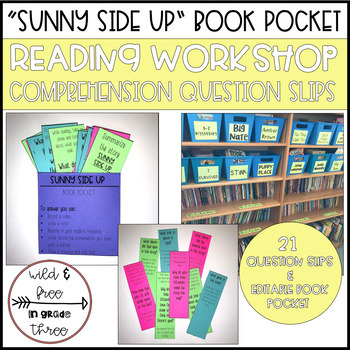 Students are able to take control of their learning by choosing which slips they will answer as they read and it is usually dependent on which goals they are working towards as readers. They are able to access Seesaw throughout the reading block to use the features on that platform to answer a question. They can chat with me during our conference about their thinking. They can write their ideas in their reader’s notebooks. Sometimes, they will even bring their bookmark to a partner and talk about their thinking while I listen in. We want students to become joyful readers who gravitate towards books through intrinsic motivations. 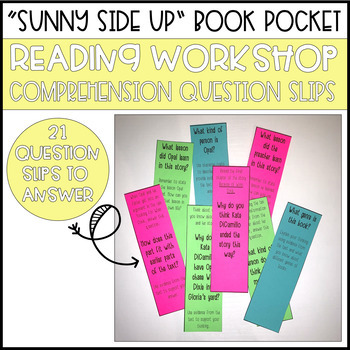 These question slips give students ideas for what to talk about with a partner, in a Seesaw video, or in their reader’s notebooks. 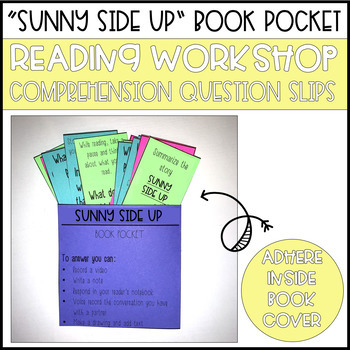 You can even use them as formative assessments during reader’s workshop. 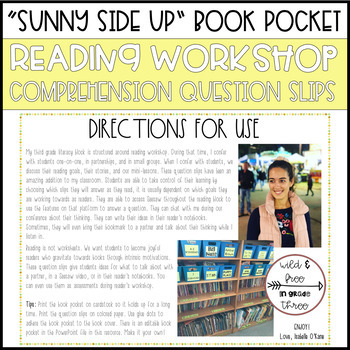 Looking for other reading workshop resources? Check these out below!